The team at C.H. 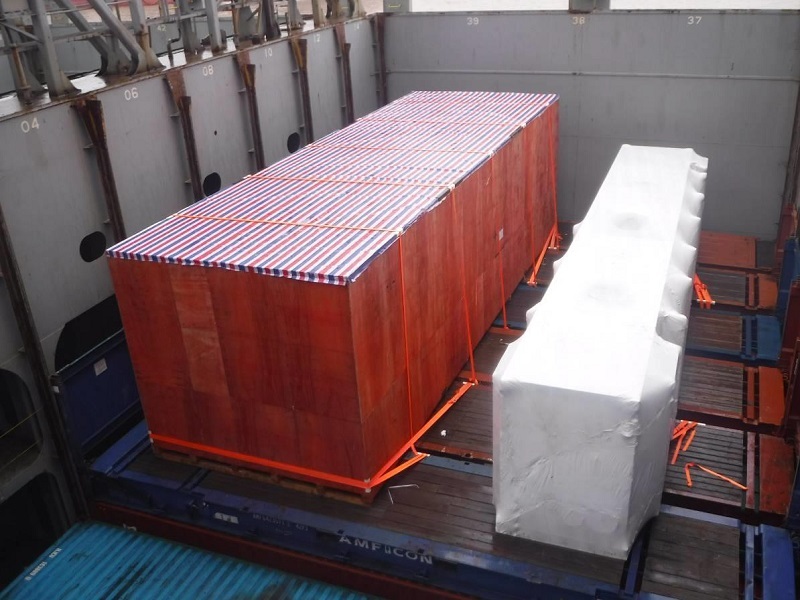 Robinson Project Logistics have recently moved four large modules and one open-top container from Shanghai in China to Houston in Texas for a chemical plant. The largest unit weighted 22.1mtns and measured 23.66 x 4.47 x 3.55m with the total volume of the shipment at 1,154cbm / 73.7mtns. After detailed planning by C.H. Robinson Project Logistics, the cargo was shipped via container vessel to take advantage of the weekly sailings and to prevent any potential delays. It was loaded across five container positions in two different holds and was directly discharged at Bayport Container Terminal in Houston which doesn’t typically handle this type of cargo. To ensure the operations ran smoothly and to oversee the offloading process, C.H. Robinson’s project logistics experts met the vessel at the port. The pieces were then loaded onto flatbed, heavy duty low-bed, and extendable low-bed trailers and trucked to the plant.